Fifty years ago, Fidel Castro seized power in Cuba, the Army promoted Elvis to Spec 4, and Alaska and Hawaii gained statehood. The music died when a light plane crashed with the Big Bopper, Buddy Holly, and Ritchie Valens on board. Hula hoops were hot; Edsels were not. An American Honda Motor Co. Inc. sign was quietly erected above a Los Angeles storefront. Tail fins reached their apogee in 1959, the fought the Renault Dauphine for import-car supremacy, and Honda began stitching new wrinkles into America’s cultural fabric. Barely a decade after Honda started hanging war-surplus engines on bicycles (see time line on page 5), Japan’s restless tiger was on the prowl. Planning division chief Kihachiro Kawashima toured both the Asian mainland and the United States in search of export opportunities. The Asian mainland countries’ rising prosperity and close cultural kinship with Japan made them the obvious choice, but Honda’s sales strategist Takeo Fujisawa believed otherwise, citing the company’s policy of facing the toughest challenges first. “We must attempt to penetrate the difficult U.S. market before we go elsewhere,” Fujisawa insisted. A small expeditionary force headed by Kawashima arrived on the West Coast in June 1959. To save expenses, the Honda gang shared a one-bedroom apartment and stacked motorcycle crates by hand in the company’s Pico Boulevard warehouse. Frustration set in when the first Honda Dream motorcycles proved to be too fragile for the sustained speeds and long distances it would need to cover to be successful in America, but there was a lucky fallback: the 50-cc Honda Super Cub cycle used by the team for errands roused unexpected interest. Since Piper Aircraft was already using the Super Cub trademark, Honda’s pioneering product wore an unassuming Honda 50 moniker. Were it not for the 50’s sheer brilliance, Honda would surely have burned through the $1 million it borrowed from Japan’s Ministry of Finance to gain a foothold here and gone home licking its wounds. Neither a moped nor a scooter nor a conventional motorcycle, the 50 combined a female-friendly step-through chassis with a clean, quiet engine. Breakthrough features included molded-polyethylene body parts, seventeen-inch wheels and tires, and an automatic clutch to facilitate one-hand riding. The Honda 50’s single-cylinder overhead-valve engine produced 4.5 hp, enough to propel the 143-pound bike to 43 mph. Humming like a well-oiled sewing machine, this $249 ride delivered more than 200 mpg. Fifty years after it arrived here, the Honda 50 is universally regarded as the two-wheeled Model T, with more than 60 million sales to its credit. It’s still manufactured in fifteen countries on three continents. The Honda 50 was the anti-Harley. Sales brochures called it “the thrifty, nifty Honda 50.” Instead of selling them through traditional back-alley motorcycle dealers, Honda recruited agents in Popular Mechanics and offered sales franchises to hardware stores, lawn-mower repair shops, and even college bookstores. By the end of 1961, Honda’s network of 500 dealers reached the East Coast, and by spring 1963, $5 million was budgeted for advertising. To woo that business, Grey Advertising executives pitched to Honda management a campaign – created by a UCLA student as a class assignment – refuting the sinister black-leather biker’s image. Photos of fashionably dressed suburbanites toting their kids, cargo, and even a pet on Honda 50s ran with the tagline, “You meet the nicest people on a Honda.” The ads ran in Life, Look, the Saturday Evening Post, and during the Academy Awards TV broadcast. In 1964, the Beach Boys chimed in with their “Little Honda” pop tune extolling the simple joys of riding a Honda 50. Throughout the 1960s, Honda tortured the British brands with a flood of increasingly more sophisticated sport bikes. The coup de grâce arrived in 1969; Honda’s CB750 was the seminal superbike, with a front disc brake, a four-cylinder overhead-cam engine, and a $1495 price. By 1983, the entire British motorcycle industry was through. 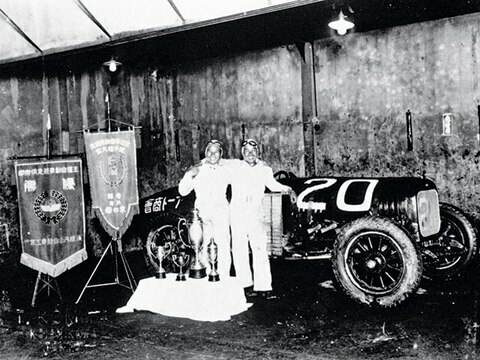 Motorcycle success whet Honda’s appetite for expansion into automobiles. Here, the initial frustration came not from technical or marketing challenges but rather from the Japanese Ministry of International Trade and Industry (MITI). Government bureaucrats within MITI intended to block Honda from joining the ten enterprises already slicing up the local car and light-truck pie. In 1963, before legislation could be passed that would give MITI the power to enforce its directives, Honda rushed a mini-truck and a 500-cc sports car into production. Ripples from that disturbance reached American shores in 1969, when the Honda 600 minicar went on sale in Hawaii, followed by the three West Coast states a year later. The irony of Honda’s simultaneous introduction of the world’s most sophisticated motorcycle and a tiny, underpowered car was lost on Americans preoccupied by Vietnam, the breakup of the Beatles, and the demise of Janis Joplin and Jimi Hendrix. The Honda 600 ripple finally touched the East Coast in 1972, where I was a budding car tester. By that time, two variations were offered: the original foursquare $1473 (N600) sedan and a $1610 (Z600) coupe shaped like a ski boot. A noisy, 598-cc SOHC two-cylinder engine sent 36 hp to the front wheels through a four-speed manual transmission or an optional two-speed automatic. Unlike Honda’s first four-wheelers, this one was air-cooled and fed by a single-throat carburetor. I clocked the run to 60 mph in 20.8 seconds and observed a top speed of 75 mph. Barely ten feet long (three feet shorter than today’s ), the Honda 600 rolled on ten-inch tires and weighed in at 1355 pounds. 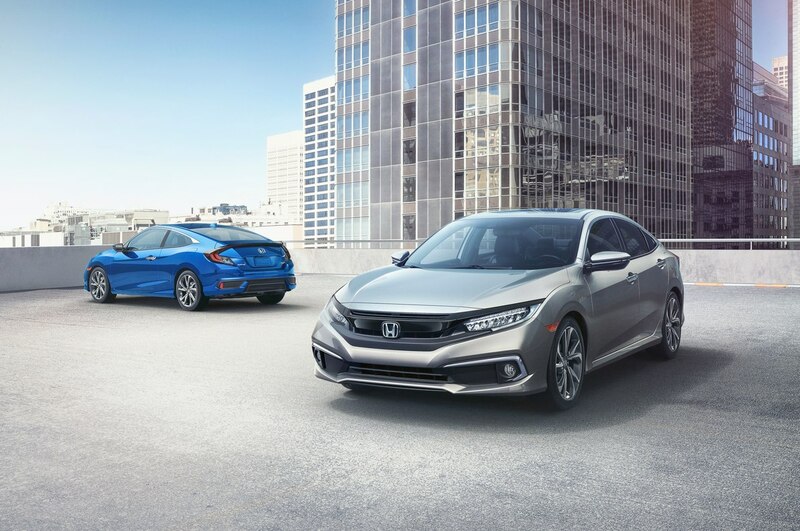 In spite of its safety shortcomings, the 600’s combination of affordability, maneuverability, and 30-plus mpg lifted Honda’s annual U.S. car sales to more than 20,000 units. The 600 served as the warm-up act for the real star of the Honda car show, which followed with fortuitous timing. The original was introduced in 1973, mere months before the Arab oil embargo triggered the first energy crisis. Powered by a 50-hp, 1.2-liter water-cooled four-cylinder, the two-door Civic became the instant darling of the EPA’s new fuel-economy tests. Gas mileage wasn’t the only issue of the day. Meeting the so-called Muskie Law, which called for sharply lower exhaust emissions by 1975, was deemed an impossible task by most carmakers. 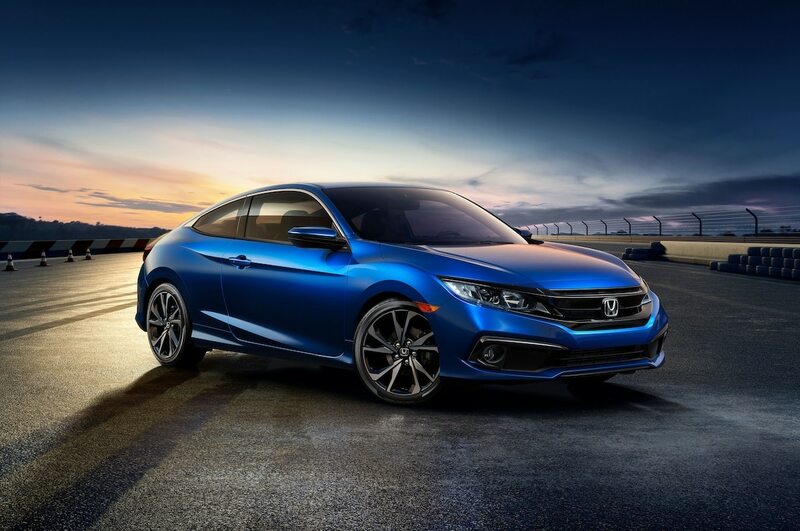 Honda defied conventional wisdom by announcing that its new Compound Vortex Controlled Combustion (CVCC) engine could exceed the standard without a catalytic converter or unleaded fuel. This approach used two separate intake tracts per cylinder. A dedicated carburetor throat and tiny intake valves fed small precombustion chambers a rich air/fuel mixture that was easy to ignite. After combustion began in the anteroom, the resulting flame front lit a substantially leaner main mixture in each cylinder. Having extra air for combustion minimized the formation of unburned hydrocarbon, carbon-monoxide, and nitrous-oxide emissions. More significant, the Honda Civic CVCC topped the EPA’s mileage charts from 1974 through 1977, with some ratings exceeding 40 mpg. CVCC technology also benefited the , which arrived in 1976. During eight generations, Honda’s mainstream model evolved from a $3995, 68-hp two-door compact riding on a 93.7-inch wheelbase into today’s 271-hp four-door with a 110.2-inch wheelbase and a fully loaded price that tops $30,000. From 1989 through 1991, the Accord was the best-selling car in America. Car and motorcycle sales gains, along with growing resentment over Japan’s rising share of the U.S. market, prompted Honda to ponder a local manufacturing base. Operations began in 1979 with motorcycle assembly in Ohio. Three years later, those facilities grew into a million-square-foot factory for building Accords and, later, Civics. Learning from VW’s mistakes when it established a Pennsylvania operation to build Americanized Rabbits, Honda made sure that U.S.-made Accords were indistinguishable from those imported from Japan. Further expansion, with new engine and transmission manufacturing plants, gave Honda sufficient capacity in Ohio to begin exporting U.S.-built cars to other markets, including Japan. 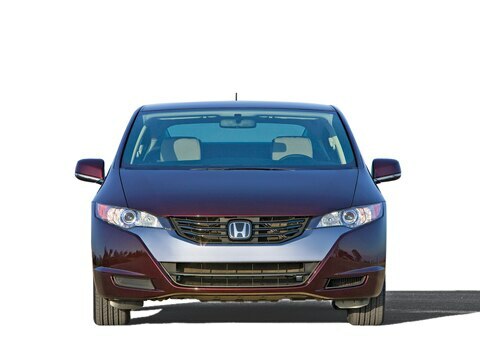 Honda’s next courageous step up the prosperity ladder was the creation of a second sales channel for its Acura models. In 1986, three years before Nissan and Toyota followed suit with their Infiniti and Lexus brands, the Acura Integra and Legend gave faithful Honda customers an opportunity to spend more money while remaining true to the fold. Finishing at the top of J. D. Power’s Customer Satisfaction Index from 1986 through 1989 was instrumental to Acura’s success. 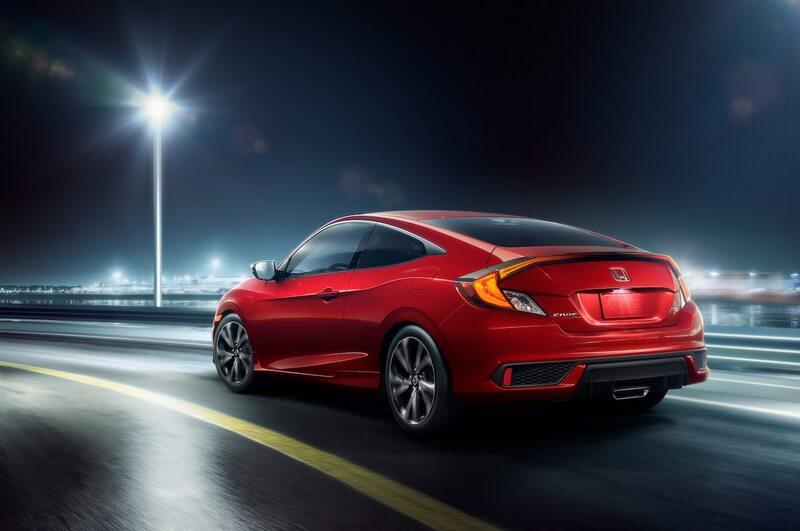 Having established solid foundations around the globe, Honda has spent the last two decades stretching its tentacles into new markets, traipsing boldly into realms ignored by most vehicle manufacturers, and keeping the competition honest. Today, Honda is the world’s largest engine producer, thanks to its broad range of lawn and garden tools and electric generators. Honda’s land and sea power toys include ATVs, motorcycles, scooters, personal watercraft, and outboard motors. The sky is definitely not the limit for this brand. A decade of development evolved a 1997 pencil sketch by Honda engineer Michimasa Fujino into a 480-mph, five-passenger business jet. Honda’s 2006 announcement that the $3.65 million HondaJet would be produced in the United States generated more than 100 customer deposits in three days. The first production flight is targeted for next year, and our hands have been raised high for an early test flight. 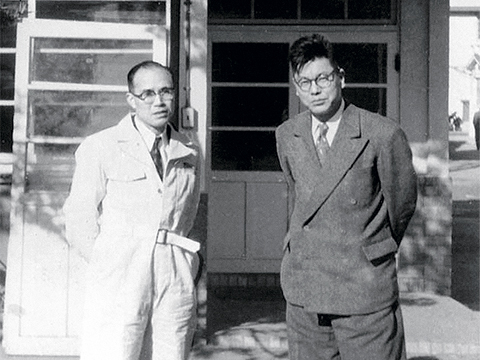 Although Soichiro Honda (far left) deserves ample credit for instilling his firm with technical brilliance, Honda would not be the powerhouse it is today without Takeo Fujisawa’s inspired contributions. The two joined forces in 1949 when an upstart gang of twenty employees desperately needed finance and marketing expertise. Like Honda, Fujisawa had graduated from the school of hard knocks. While his business brain was the perfect complement to Honda’s mechanical intuition, it was Fujisawa who suggested the move from two- to four-stroke engines and the lightweight, 50-cc motorcycle–which became the Super Cub–” on which a young couple would start whistling happy melodies.” After twenty-four years of meshing together like well-oiled gears, Honda and Fujisawa retired from the Honda Motor Company in 1973. 1906 Soichiro Honda, the eldest son of a blacksmith and bicycle repairman, is born in a small village located 170 miles southwest of Tokyo. 1937 Following his car mechanic apprenticeship and participation in a few amateur races, Honda begins manufacturing piston rings. 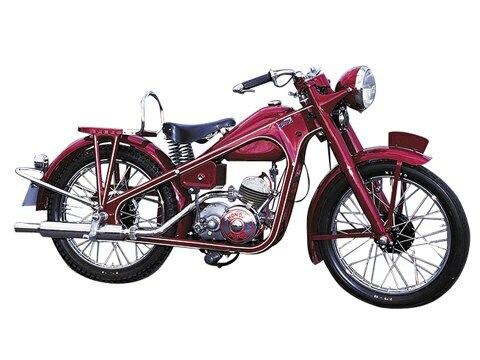 1948 The Honda Motor Company is established to equip bicycles with war-surplus generator engines. 1949 Honda begins manufacturing a 98-cc two-stroke engine for its first motorcycle, the Dream D-type. 1950 Honda’s savvy business partner, Takeo Fujisawa, advocates the move to four-stroke engines. 1952 Honda introduces the Cub, with an overhead-valve four-stroke engine and an automatic clutch. 1955 Honda tops the motorcycle sales charts in Japan. 1959 The American Honda Motor Company is established in Los Angeles to sell motorcycles. 1962 “You meet the nicest people on a Honda” advertising begins. Honda completes Japan’s first major race circuit at Suzuka City. 1963 Honda’s first four-wheeled models are an S500 sports car and a T360 mini-truck, each powered by a DOHC, four-carburetor, four-cylinder engine. 1964 To promote its reputation as a carmaker, Honda enters Formula 1 racing. In 1965, Richie Ginther’s 1.5-liter Honda RA272 wins the final race of the season at Mexico City. 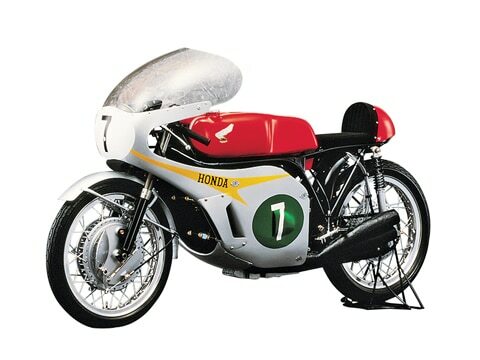 1966 Honda sweeps all five grand prix motorcycle world championship classes, from 50- to 500-cc. 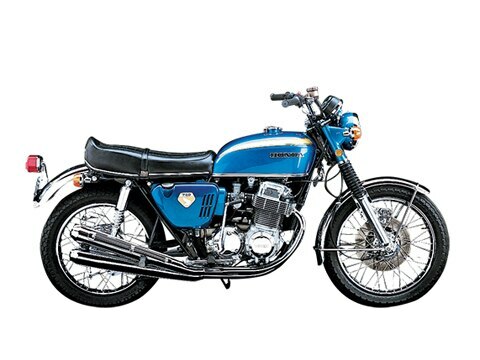 1969 Honda’s first superbike, the CB750, is powered by an OHC four-cylinder. Sales of N600 minicars begin in Hawaii, with expansion to California, Oregon, and Washington the following year. 1973 The Honda Civic, powered by an innovative Compound Vortex Controlled Combustion engine, meets stringent U.S. emissions standards without a catalytic converter. 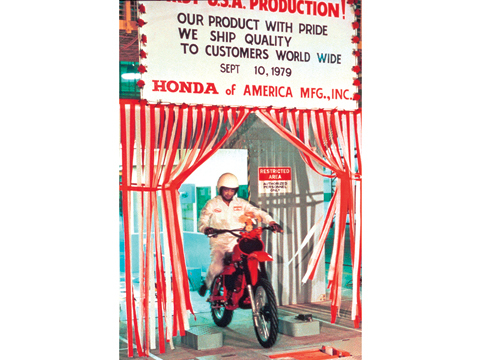 1979 Honda begins manufacturing motorcycles in Marysville, Ohio, adding Accord production in 1982 and Civics in 1986. 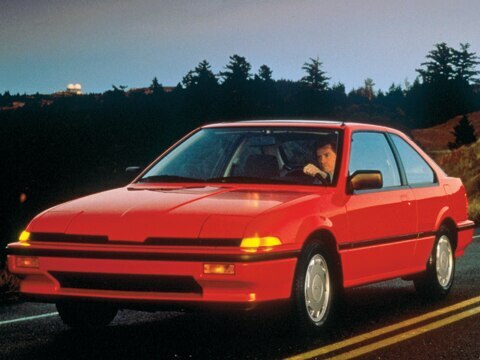 1986 The Acura brand is launched with the introduction of the Integra and the Legend. 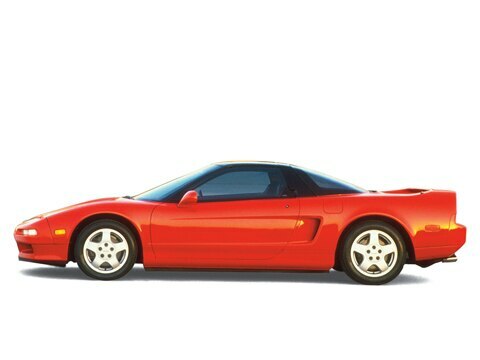 1991 The , Japan’s first supercar, wins Automobile Magazine’s Automobile of the Year award. 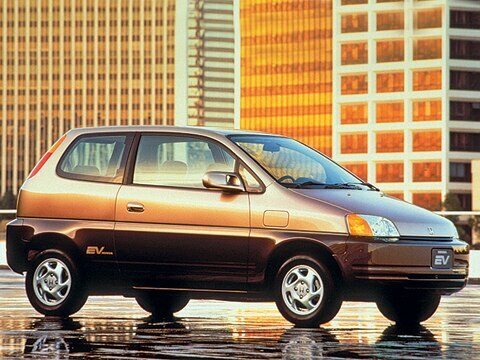 1997 Production of the Honda EV Plus electric car commences. Honda’s Twin Ring Motegi motorsports complex opens in Japan. 2000 The is the first gas/electric hybrid sold in the United States. 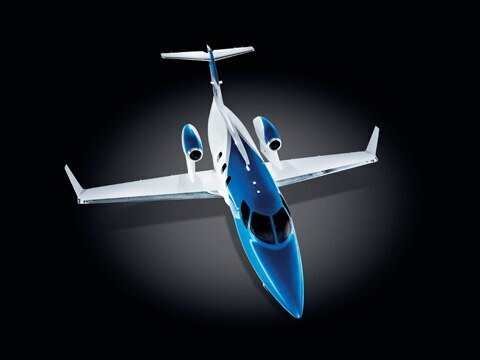 2003 The HondaJet twin-engine business aircraft completes its maiden flight. 2008 The Honda FCX Clarity is the first (limited) production electric car to be powered by a fuel cell.